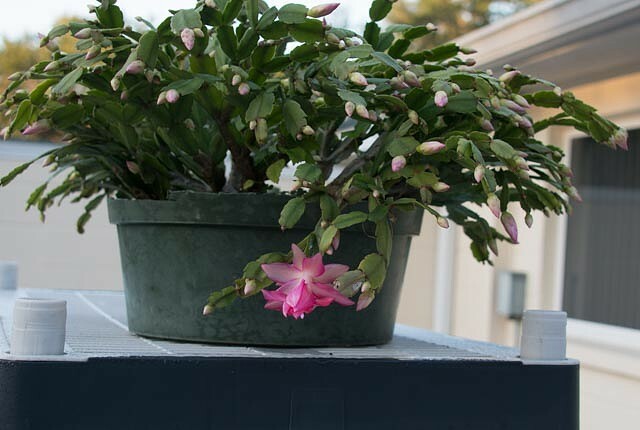 I let the girls out this morning, as usual, and checked my Christmas cactus.... It is loaded with developing flowers. And there was the one I have been watching..... in full bloom and color. During the hurricane the cactus got so much rain that it nearly drowned... I thought I was going to loose it as many stems rotted off. My other cactus is left with only one branch. In order to save the cactus, I proceed to ignore the plant and leave it without water for nearly 2 months. The cactus has thanked me by surviving and developing a load of blossoms. The second cactus will survive to, it has 5 blossoms on it for the season. Who would have thought that neglecting to water a cactus (succulent) would have been the medicine for survival. But it was and now I have my beauty back!